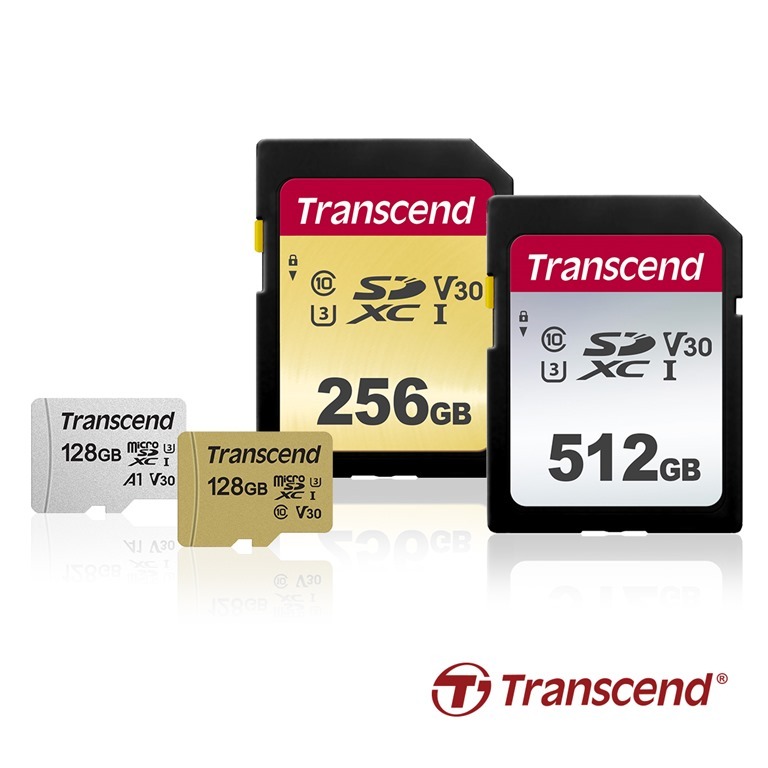 Transcend Information, Inc. (Transcend®), a leading manufacturer of storage and multimedia products, announced today the release of the 500S and 300S series of SD and microSD cards. These memory cards, produced in capacities of up to 512GB and featuring transfer speeds of up to 95 MB/s*, are a ready-made solution for the storage needs of today’s users. The gold 500S series, constructed of durable MLC flash, is ideal for action cameras and drones, while the silver 300S series SD cards are offered in capacities up to 512GB, and the microSD cards have been crafted with the smartphone market in mind. *Actual specifications, speeds, and capacities may vary; please see the Transcend website for details. Editor’s Note: Capacities are getting bigger, hopefully we’ll upgrade from our 64GB stick soon!